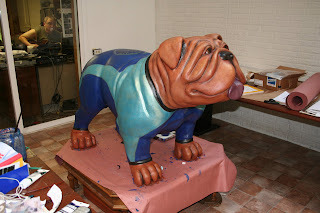 The dog is just about finished. Hope the surfboard comes soon! I love this! He is too cool, now all he needs is a cute girl doggie surfer! Congratulations on getting to do one of these "Dog".